Due to a rare genetic mutation, members of the Marsili family don’t feel pain. Scientists are studying this secret power in hopes of helping those who suffer from chronic pain. Sometimes finding a new solution requires taking a new look at the problem. Recently, researchers have found that retinal scans may be a potential solution to perform early diagnoses of Alzheimer’s. Coffee does more than wake people up in the morning and give an energy boost. Recent studies show that moderate consumption of this everyday beverage can have protective effects on the liver against various diseases. We’re always told to get our eight hours of sleep to stay healthy, but how important is it? Recent studies by researchers at UC Irvine suggest that getting good deep sleep may help reduce the risk of getting Alzheimer’s. Are 9/11 Attacks Contributing to Increase in Cardiovascular Disease? There are numerous causes of cardiovascular disease. However, recently one group of researchers have found a link between the 9/11 attacks and the increased risk of heart problems. Can Spider Silk Improve Hearing Aids? Applying past discoveries to new applications, researchers are experimenting with the Stokes Model to find new ways of improving hearing aid technology by using thin materials like spider silk. 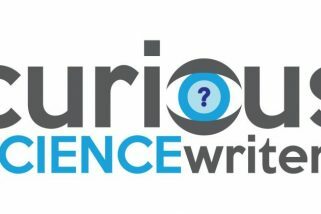 curiousSCIENCEwriters is an innovative, extracurricular program that trains curious and creative high school communicators to bring complex science to the general public through the power of story.